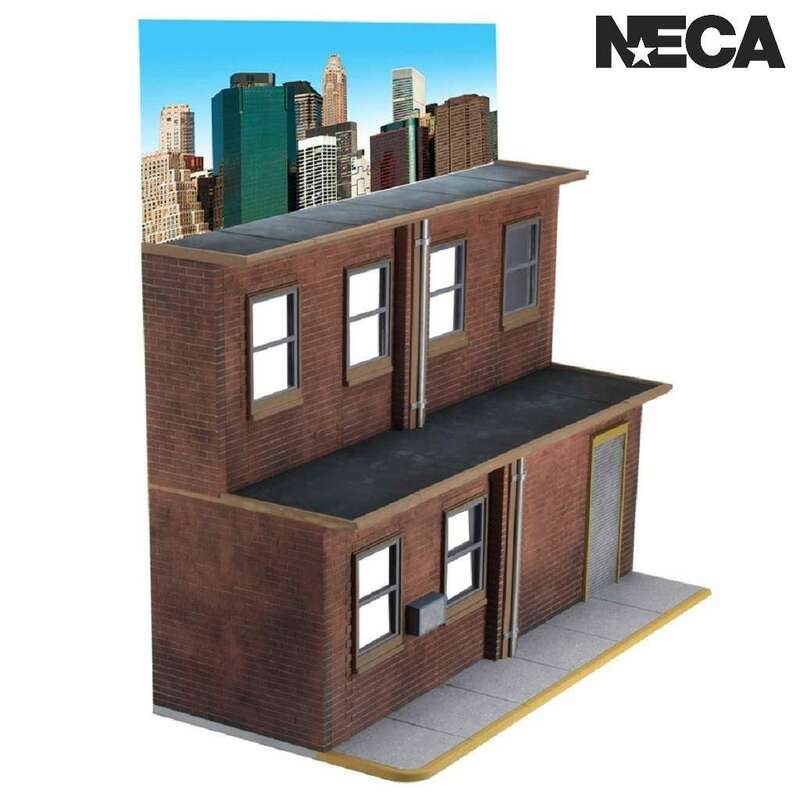 NECA Street Scene Diorama featuring 3 levels with multiple display options and big enough to display over 30 action figures or more that are 6 to 9 inches tall. 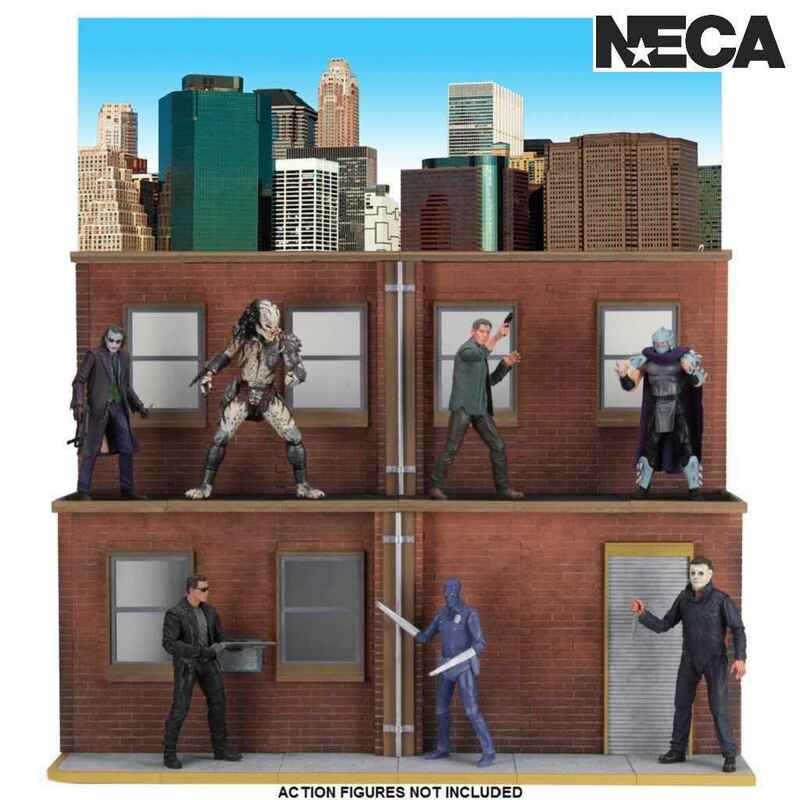 Want to take your action figures to the next level? 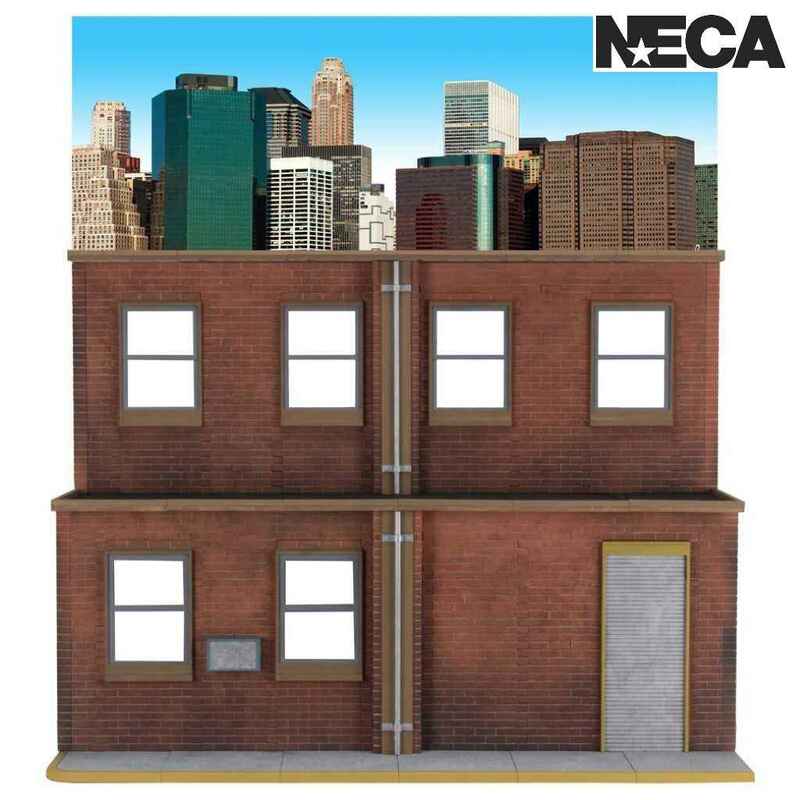 Well now you can thanks to NECA who bring you this incredible Street Scene Diorama featuring 3 levels with multiple display options and it's big enough to display over 30 action figures or more that are 6 to 9 inches tall. Think of all those awesome scenes you could create from your favorite movies and TV shows or just use your imagination and go wild because the possibilities are endless, especially if you are into toy photography. 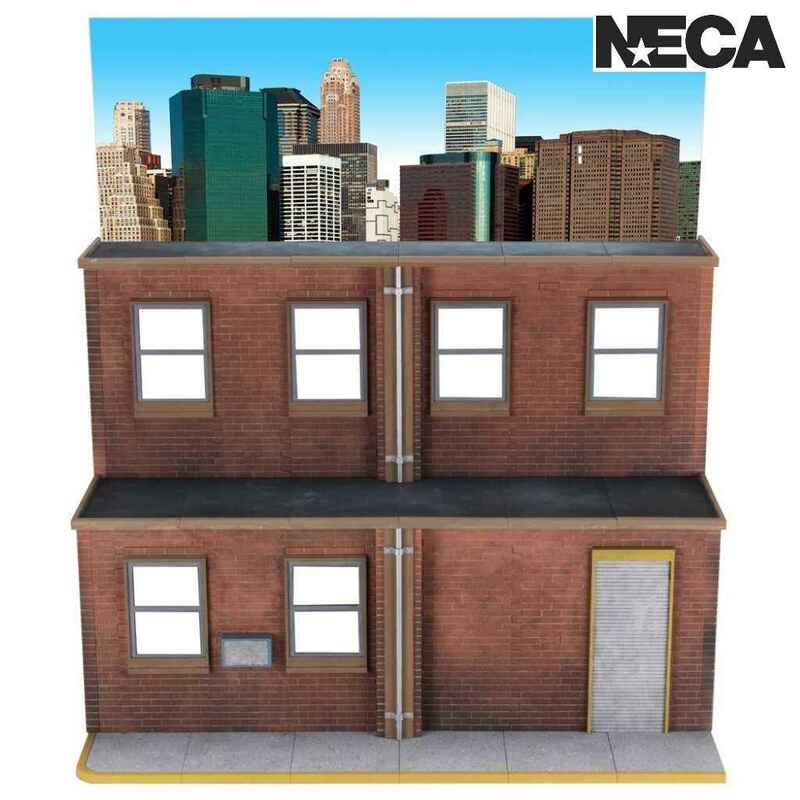 This Street Scene Diorama is over 18" tall, over 2 feet wide and over a foot deep and has clear window panels plus a full colour cardboard backdrop. Comes packaged in a full colour closed box. 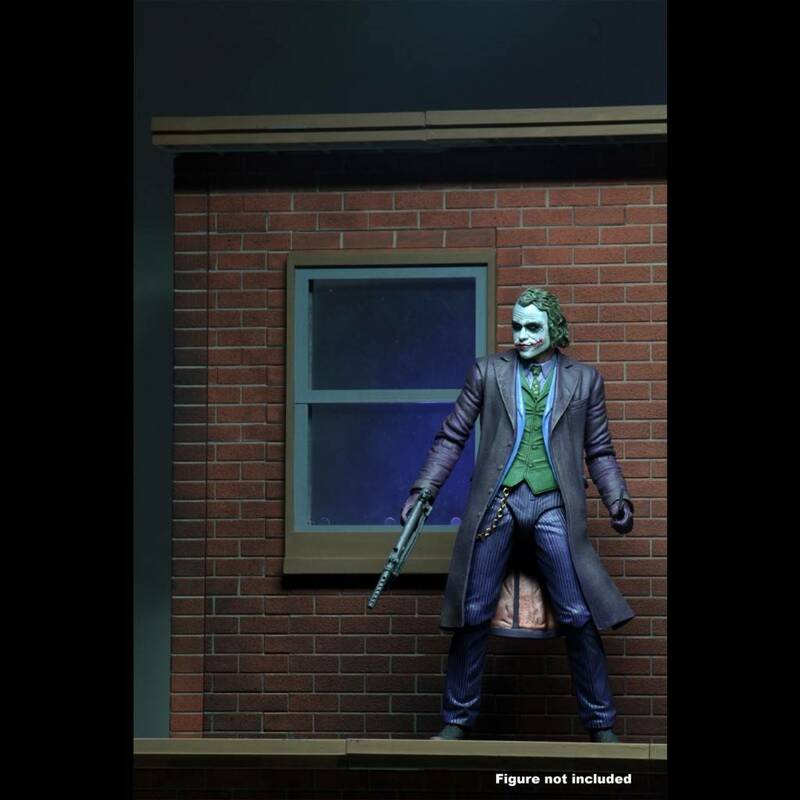 The perfect collectible for creative minds and those who love toy photography.